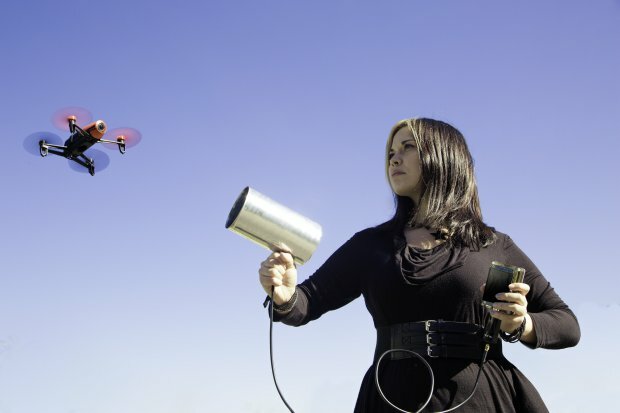 Drones are one of the rising technologies in the world and it became very popular that we see it in news on places that have armed conflicts, aerial photography like GoPro drones and even for customer care like the Prime Air delivery system from Amazon which is designed to get packages to customers using small unmanned aerial vehicles (aka drones). 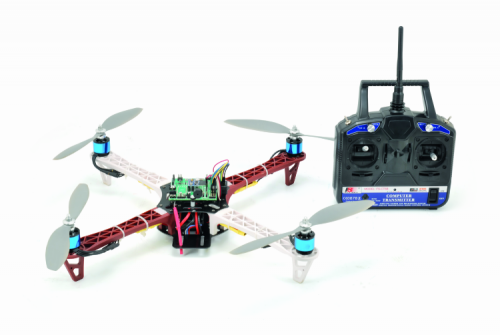 If this is the first time to read about how to build a quadcopter, then this post is for you. Boris Landoni from OpenElectronics made a detailed how-to tutorial on how to build a quadcopter in two parts. 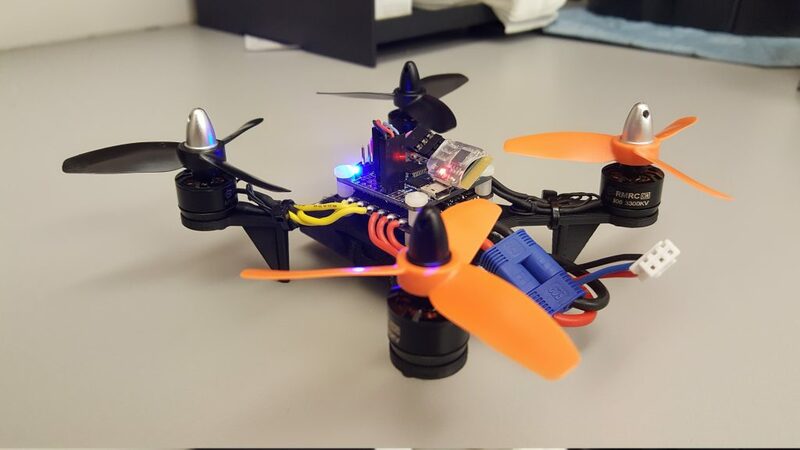 As the name implies, the quadcopter has four propellers and to control them we need a lot of electronics parts and with no doubt a control board. The control board which Boris Landoni build is based on Arduino Mega and manages the engines of the drone with up to eight outputs, receives commands from a remote controller and supports the telemetry function via smartphone using HC-05 Bluetooth module. 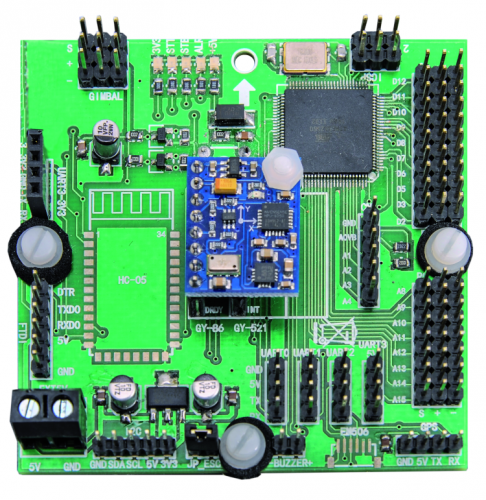 GY-86 flight control sensor module is used on top of main board (the small blue board) which combines MPU-6050 (3-axis accelerometer and 3-axis gyroscope), a digital 3-axis compass HMC5883L form Honeywell and the pressure sensor MS5611 MEAS. 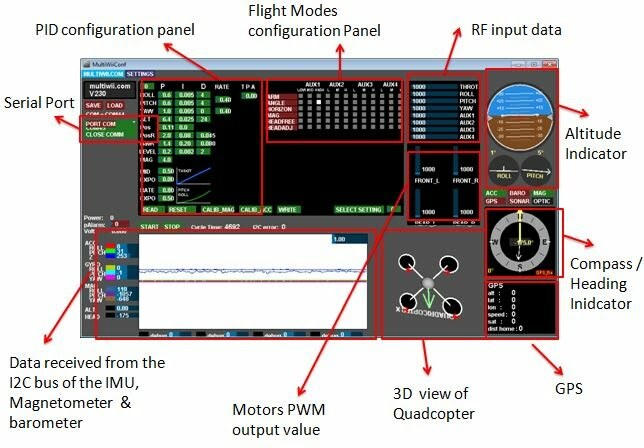 Boris talked about the firmware that could be used to control the main board, but chose MultiWii firmware which is a general purpose software to control a multirotor RC model. He used six-channel remote control operating on the 2.4 Ghz frequency. 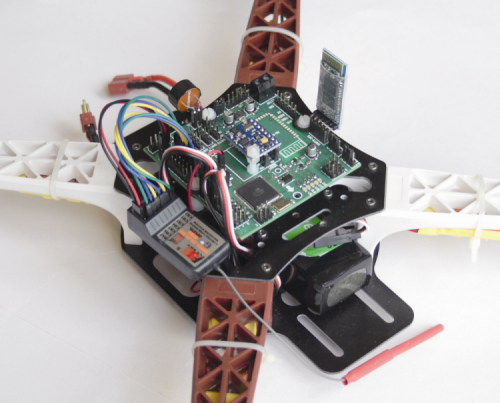 Each channel controls one surface or component in the quadcopter. 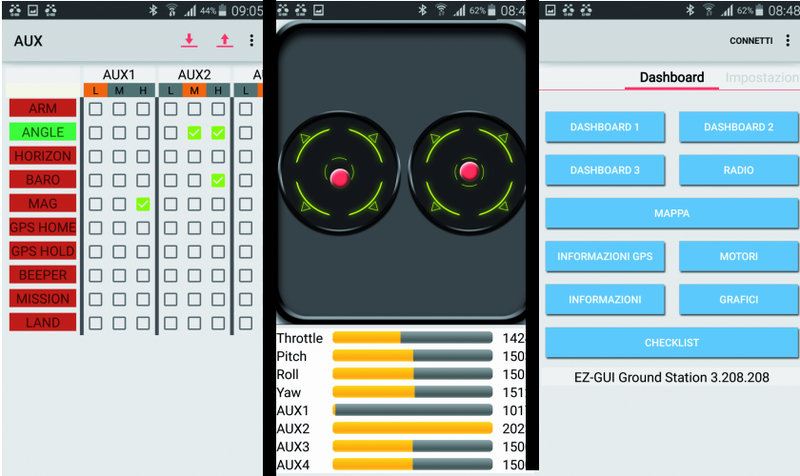 You can do both the telemetry and the control via Bluetooth from your smartphone using EZ-GUI Android application, which is a Ground Control Station (GCS) for UAVs based on MultiWii and Cleanflight. 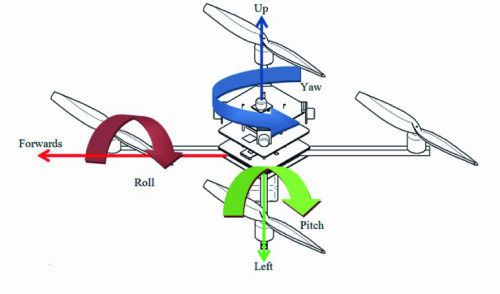 Boris talked about PID parameters calibration, a control loop feedback mechanism used to control systems. 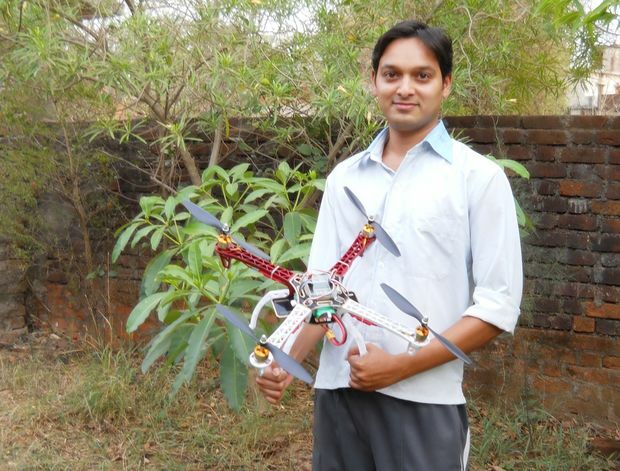 He shared an interesting video showing how changing these values changes the behavior of the quadcopter. The full assembly instructions and other important notes by Boris are found in the two part how-to tutorial: Part1 – Part2.